First consider your safety and the safety of others. Do not allow children to climb beneath the hood or to play around the cables. If you have any questions about how, in the moment, to jump start your vehicle’s battery, then consult the owner’s manual. Some vehicle may require more than the simple steps we’re going to outline for you here. And if you are going to jump start your vehicle, then make sure to take special care around the jumper cables and battery terminals, because there could potentially be a danger for electric shock. To jump start a vehicle you will need another vehicle; presumably a vehicle with a healthy battery. Park the vehicle with the healthy battery next to the one with the dead battery. The vehicles should be close—eighteen inches is a good distance—and they should not touch. The brakes should be employed on both vehicles. If the vehicle is an automatic transmission then it should be kept in park, and if it is a manual transmission then it should be put into neutral. Both vehicles should be turned off. Open the hoods of both vehicles and find the battery terminals. Identify the positive and negative battery terminals, and then attach the red (positive) jumper cable to the positive terminal on the dead battery. Make sure the cable is firmly in place. Then attach the red cable to the positive terminal on the healthy battery. Then connect the black cable to the negative terminal on the healthy battery, and then attach the other end of the black cable to somewhere on the engine block—a clean bolt—that is free and clear of debris and paint. Then start the healthy vehicle, allow it to run for a few minutes, and then attempt to turn on the vehicle with the dead battery. 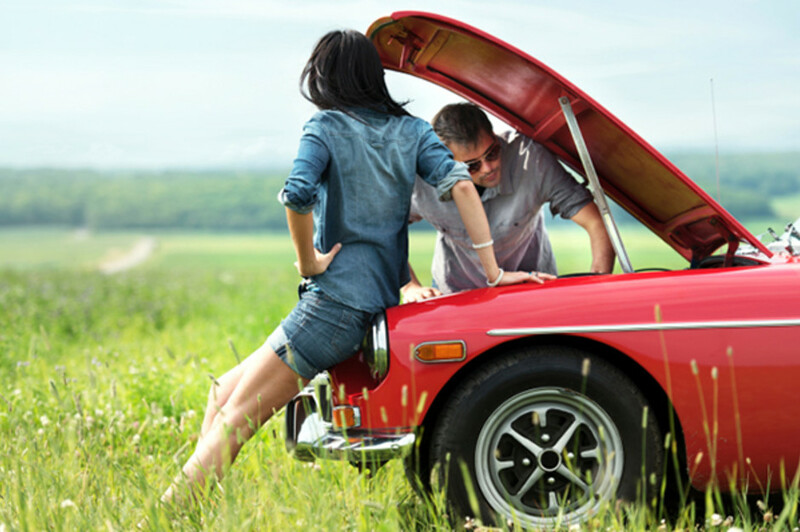 If it doesn’t turn on, then assist it by revving the engine of the healthy vehicle. Remove the jumper cables, black first, and taking care not to touch the cable ends; then take a short drive to charge up the battery.